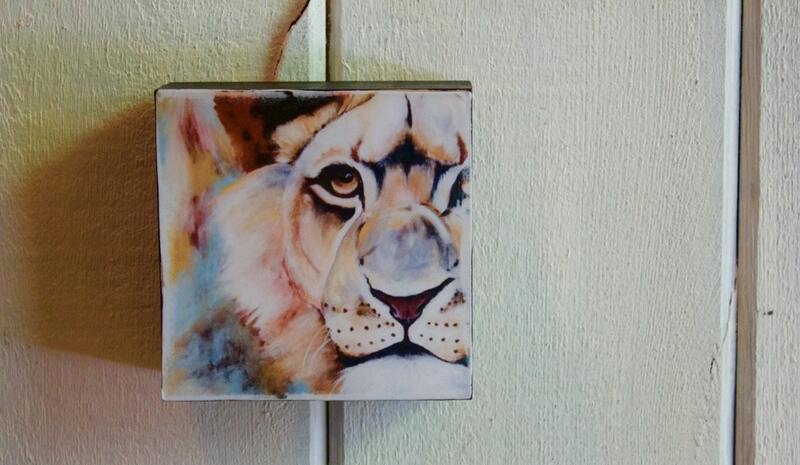 Original lion painting, transferred onto a ready to hang wood block, using a gel matte medium. Sealed with a heavy resin, giving the painting a beautiful, glossy finish. 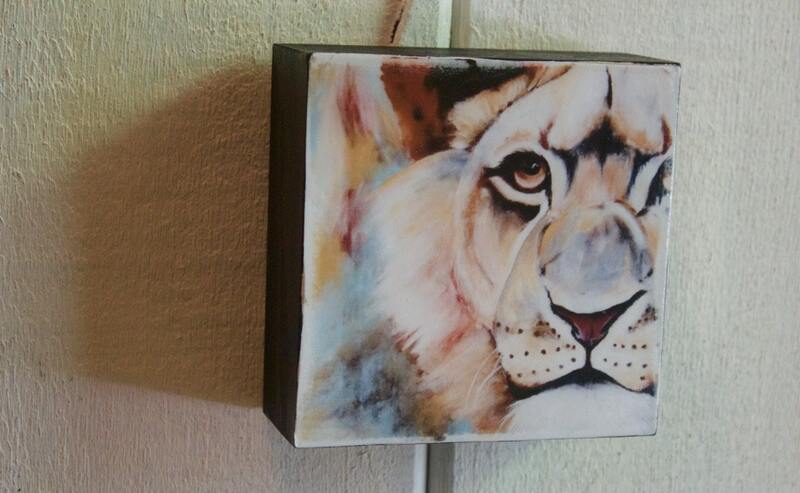 Sits perfectly on a shelf if you do not wish to hang it.